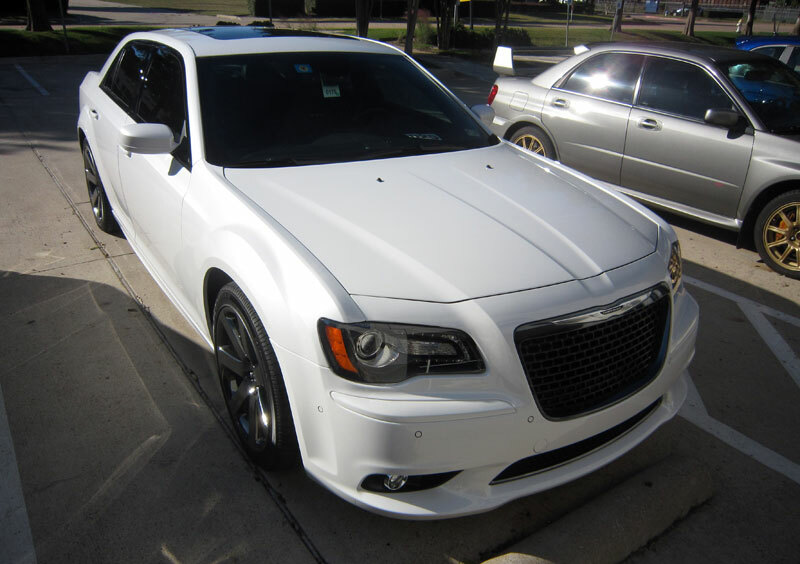 Shortly after picking up this 2014 Chrysler 300 SRT from the dealer an appointment was made for our Level 3 Paint Protection Package. In the case of the 300 SRT we covered the leading portion of the hood, matching area on the front fenders, bumperettes (banana shaped sections under the headlights) and the entire painted bumper cover - wheel arch to wheel arch is covered with 3M Scotchgard Pro Series Paint Protection film. Ready for the road now!